This caller’s situation is rather unusual. 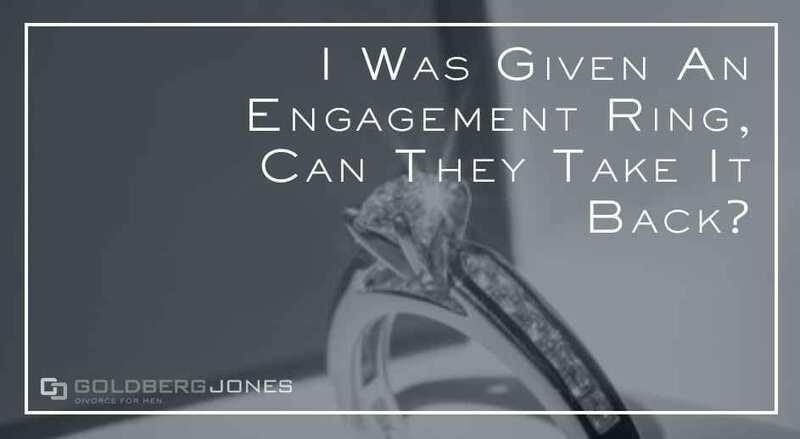 That said, we often hear questions about engagement rings and who actually owns them. California law has a particular statute that deals with this topic, specifically premarital gifts, like an engagement ring. Essentially, if the person who receives the ring goes through with the marriage, the law considers it that person’s property. If no one walks down the aisle, however, the giver does have legal recourse to get it back.